Cedar is the top of the line in wood fencing. Its reddish brown color gives it a warm, rugged appearance. The physical characteristics of cedar make it an ideal choice for a privacy fence. We can custom make your ornamental iron fence to just about any idea that you may have to enhance the look of your house, pool area, and any other custom application that may occur. Each panel will be welded pickets and rails and powder coated black. We can do custom colors too. The New Living Room: Turning the backyard into an outdoor living retreat is one of the hottest trends among American homeowners. It makes sense: With televisions, computers and phones in nearly every room of the house, the backyard deck is the final safe haven from life’s pressures. Escaping to a quiet corner of the yard provides a necessary respite. We offer a wide range of custom ornamental iron and wood covered electric gates. Whether for privacy, safety, or decorative purposes, let us construct a custom gate enclosure for you. 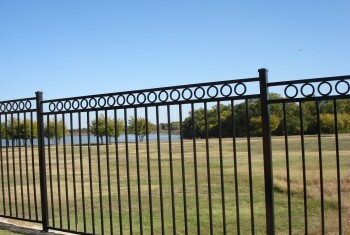 Ace Fence, a Dallas fence company provides the highest quality fence products at competitive prices. As members of the Better Business Bureau Customer Care Program and the Home & Apartment Builders Association of Metropolitan Dallas, we understand what it takes to be the best. Ace Fence is insured for your protection and we offer a 24-month warranty on workmanship. 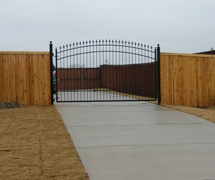 A brand-new fence or gate can offer numerous advantages. We feel every homeowner would like to improve the privacy and security of their home or office? We believe privacy and security is very important and we have actually put significant thought into how we can make your brand-new fence or gate more safe and secure. Maybe you’re interested in boosting your home’s curb appeal and making it more welcoming. Or possibly you’re interested in developing an outdoor space. Whatever your objective, Ace Fence, a Dallas fence company serving most of North Texas has your option. 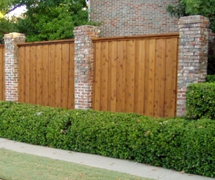 Our Wood Fences & Gates Last Longer Dallas-Fort Worth! Our wood fence, wood gate, and wood Arbor products have to satisfy important Ace Fence requirements for dampness material, natural oil material, and minimal nominal measurements, along with pass our challenging grading system. This indicates our wood fences, gates, and arbors are more resistant to reducing, cupping, splitting, decay, as well as insect problem. The majority of individuals do not like big spaces between their personal privacy fence pickets, and Ace Fence Company in Dallas-Fort Worth does not like them either. It has actually been our understanding that much of the wood offered in the large retail shops is too wet most of the time. When a fence panel is constructed with wood that is too wet, the pickets reduce as their wetness material reduces. This leaves undesirable spaces between the fence pickets and can trigger them to divide and cup too soon. Unsightly gaps indicate less personal privacy. Ace Fence, a Dallas Fence Company that serves North Texas understands when selecting a fence company in your area, that cost is an essential aspect. Nevertheless, there are lots of various other aspects to think about when selecting the very best Dallas fence company. 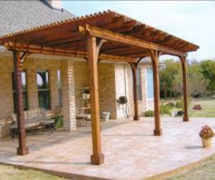 There are numerous other aspects to think about when selecting the finest Dallas fence company. Your fence is a financial investment in your house and property. A fence can either detracts from your home’s worth or include essential selling attributes such as protection, personal privacy, character, and appeal. We utilize better welding wire than the majority of Dallas Fence Companies. Our welding wire is better due to the fact that it has greater levels of silicon and manganese deoxidizers, which equate into much better arc qualities and more powerful, longer-lasting welds. Iron Fences and Gates have a longer service life than wood fencing Dallas-Fort Worth. Nonetheless, an Iron Fence or Gate can fall short when a weld point deteriorates gradually. An Iron Fence or Gate can fall short when a weld points deteriorate over time. To prevent this, Ace Fence, aside from making use of much better welding wire than the majority of Fence Companies, constructs your gate from heavier gauge iron than the majority of Fence Companies in Dallas-Fort Worth. To learn more on our Iron Fence items, please see the ornamental Iron Fence area of this website. We’ve created this website to be helpful, and to provide you the chance to discover a little about the inner operations of your job and a few of the essential elements to think about when making and constructing your fence, gate, arbor, or ornamental iron. Check out the website — we constructed it for you! 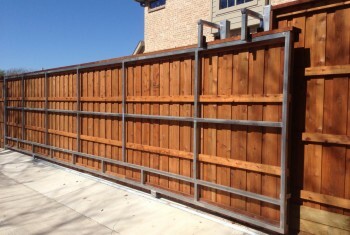 Call us with any questions or concerns that you might have concerning your special Dallas fence job. It’s our objective to assist you make the very best choice possible so that you’re pleased with the outcomes for years to come. 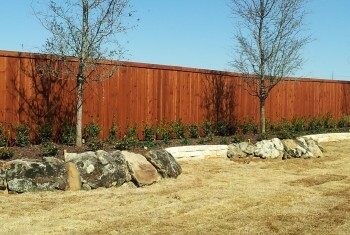 We’re a Dallas fence company with traditional values. When we dedicate our company to something, we intend to keep it. We anticipate hearing from you soon! 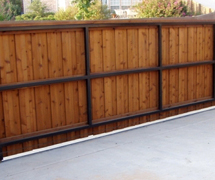 Dallas Fence Company, Ace Fence is a leading fence company servicing the greater Dallas-Fort Worth area. We have actually cultivated a low-pressure sales environment, and we think you’ll appreciate your experience with us. Give us a call today and you will understand the quality and difference! 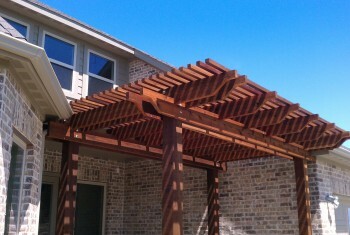 Providing good service, superior fence and outdoor living products is the only way to continue our success. If you would like to schedule an appointment, please contact us Today- 972-578-5775!